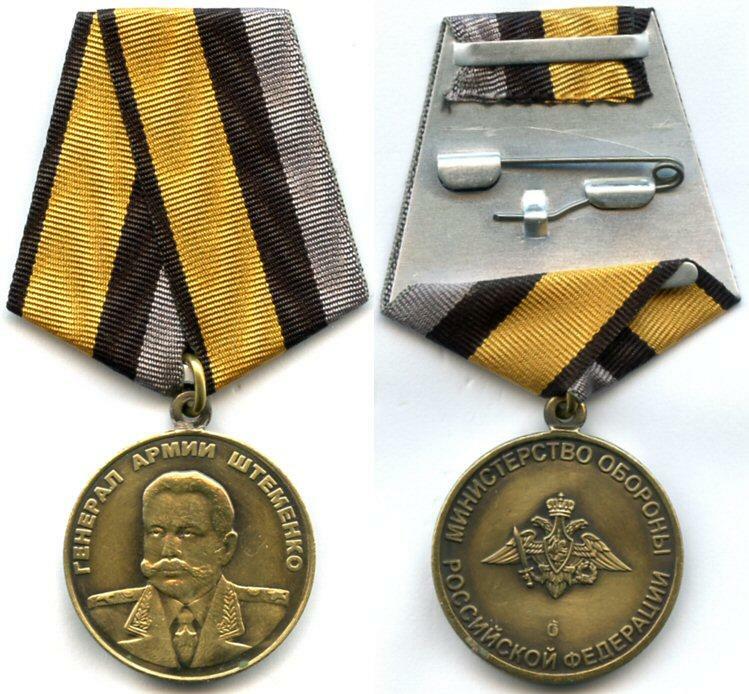 Awarded to officers of the General Staff of the Armed Forces of the Russian Federation and officers of operational directorates, divisions (departments) of the branches of the Armed Forces of the Russian Federation, of military districts, of the Northern Fleet, of arms of the Armed Forces of the Russian Federation, for exemplary performance of military duties and high performance indicators, with service of 10 years or more. The medal may also be awarded to citizens who are in the reserve or retired, for previous military service in the General Staff of the Russian Armed Forces who have served in the military for 25 years or more, as well as to other citizens of the Russian Federation, for assistance in solving the tasks assigned to the General Staff of the Russian Armed Forces. Awarded to officers of the General Staff of the Armed Forces of the Russian Federation, to military and civilian personnel of the organs of organisational mobilisation of the Armed Forces of the Russian Federation or of structural units for the protection of State secrets of the Armed Forces of the Russian Federation, who served (worked) in organs of organisational mobilisation of the Armed Forces of the Russian Federation, in military commissariats, in structural units for the protection of State secrets of the Armed Forces of the Russian Federation, for a minimum of five calendar years: for great personal contribution to mobilisation readiness of the Armed Forces of the Russian Federation, for the organisation and participation in activities aimed at the mobilisation readiness of the Armed Forces of the Russian Federation, for the implementation of activities aimed at the protection of State secrets of the Armed Forces of the Russian Federation. 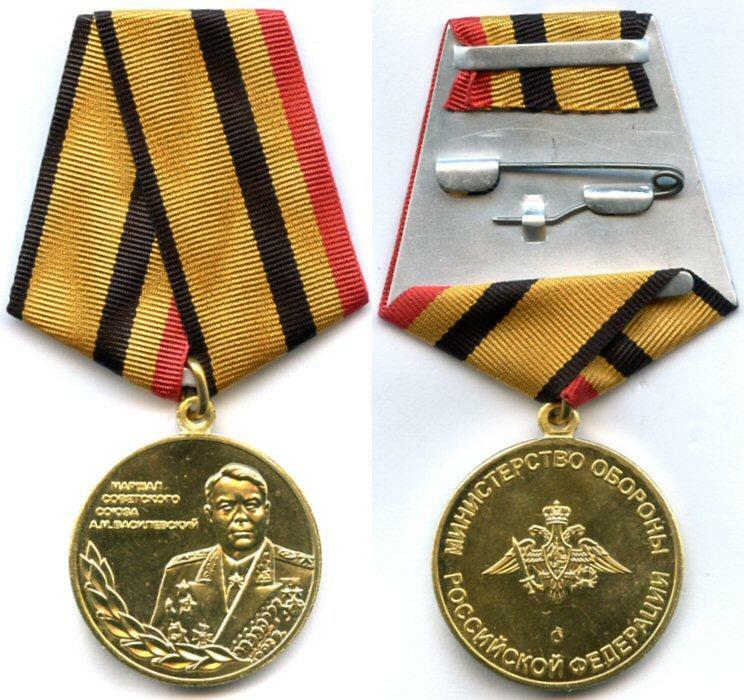 The medal may be awarded to citizens of the Russian Federation who have served (worked) in organs of organisational mobilisation of the Armed Forces of the Russian Federation or of structural units for the protection of State secrets of the Armed Forces of the Russian Federation, with a total service (work) time of more than 25 calendar years, it may also be awarded to sympathetic citizens of the Russian Federation for assistance in solving the tasks assigned to the organs of organisational mobilisation of the Armed Forces of the Russian Federation or of structural units for the protection of State secrets of the Armed Forces of the Russian Federation.